It might be an icon in the world of footwear, but until recently Montreal-based Aldo Group didn’t have much of a digital footprint: by the company’s own admission, its previous iCongo servers were difficult to update, and frequently plagued by inventory inaccuracy and poor performance during moments of high website traffic. That changed in September 2013, when Aldo migrated from iCongo to SAP Hybris Commerce, a cloud-based retail solution developed by the Germanenterprise software firm’s Canadian arm. 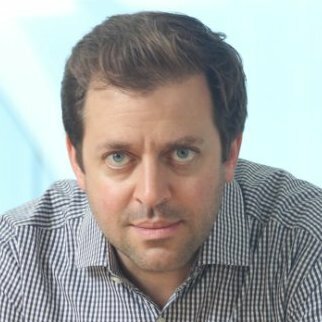 “Customers now expect a very seamless experience when jumping from online to the store,” Riad Hijal, SAP Hybris’s global vice-president of omni-channel commerce solutions and strategies, says, with retailers expected to be capable of shipping an item that is listed online but unavailable in the physical store at a moment’s notice. SAP Hybris’s global vice-president Riad Hijal says retailers face tough consumer demands. “The ability to accommodate these types of scenarios became very, very important for Aldo,” Hijal says. Since deploying the new platform, Aldo’s website traffic has grown by four per cent, conversions have grown by 12 per cent, and year-over-year sales have grown by 20 per cent – hardly a surprise in an era where customers are demanding a mobile-friendly shopping experience but retailers have beenslow to respond. Though iCongo was acquired in 2011 by Hybris (which itself was purchased by SAP in 2013), it was built on a legacy platform that wasn’t designed for frequent innovation, Hijal explains. And with Canadian retail standards low compared to other countries – as recently as 2014, only three per cent of Canada’s retail economy was online – for years Aldo viewed its technology component as little more than a way to distinguish itself from the pack, Hijal says. “Ten years ago, no one believed we could sell shoes online,” Aldo Group’s senior director of customer applications, Serge Rose, is reported to have saidrecently. Hijal says he would take Rose’s statement further. Aldo’s leaders noticed, Kijal says, and responded by hiring SAP Hybris to create an omnichannel shopping experience for each of its three brands –Aldo Shoes, Call It Spring, and Globo – both to attract mobile customers and expand into new regions. By implementing SAP Hybris Commerce, Aldo has both simplified its back-end operations and gained access to valuable sales data that it will be using to optimize its redesigned website, which it currently plans to reveal in 2017. Still powered by Hybris Commerce, the updated website will include new payment and shipping options, and continue to provide customers with access to Aldo’s worldwide inventory across each of the company’s channels, including mobile applications and in-store kiosks.